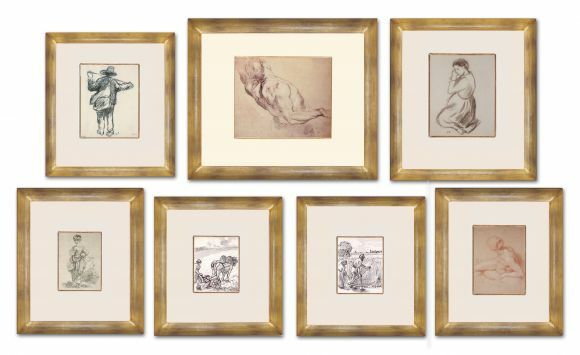 Description: Pissaro, Rubens & Boucher Drawings in gesso mounts and deluxe handmade frames. The sizes and prices of the individual pieces in this set vary. Please click on the single thumbnails to access sizes and prices.